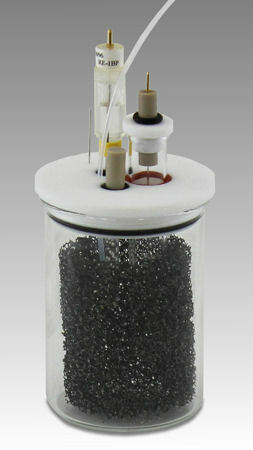 This cell has been developed in order to perform a complete electrolysis. 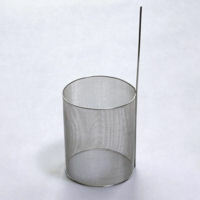 The carbon working electrode is a reticulated form that provides with sufficient surface area to gain the rate in electrolysis. The Teflon cap is designed for the perfectly fit of the o-ring, which makes possible the measurement in oxygen free condition. 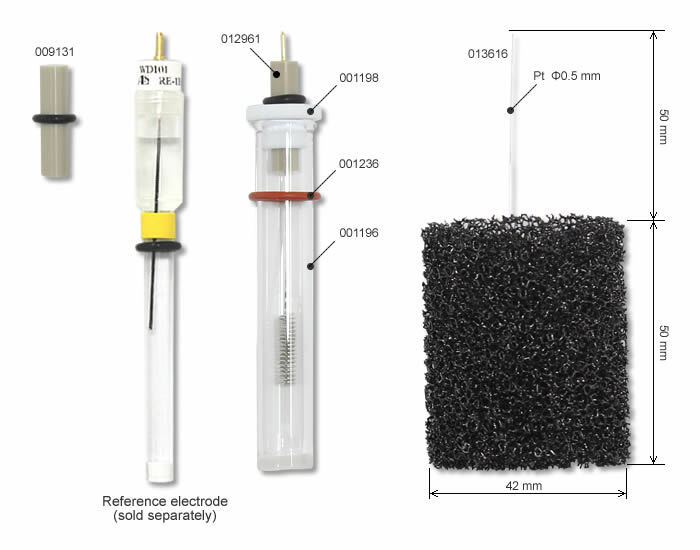 It is composed with the chamber for the counter electrode, to be able to isolate the Platinum counter electrode and Porous carbon electrode, which are used with Sample vial (100 mL), Teflon cap, Gas purging tube, and CV working electrode (sold separately). CV working electrodes will be used to examine the progress of electrolysis. When not in use, port plug can be plug in. 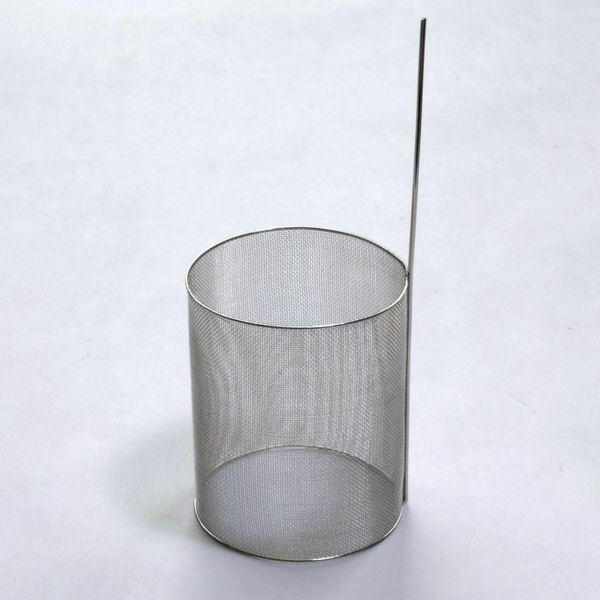 Also, Water Jacketed Glass cell, and Platinum or Gold gauze electrode can be purchased separately.